Bramley Baths is on a sound financial footing moving forward into an important year, the Baths AGM was told. The community-led pool had an incredible 16 per cent sales growth during the last financial year, and an increased turnover of £608,000. Our reserves now stand at £188,000. Basically, this means more people are joining in and finding out how good it is to feel fitter and be part of the Bramley Baths community! The focus moving forward is on securing material investment in the Baths building in a bid to continue to secure its long-term future. Bramley : The Baths That Can from Bramley Baths on Vimeo. Board members stepping down at the AGM included David Harries, Laura Sheard, Fran Graham and Bill Graham. All four had been inspirational members over the years, helping to guide the organisation through its early years following the community takeover from Leeds City Council in 2013. Nick Quin was welcomed on to the board as treasurer. 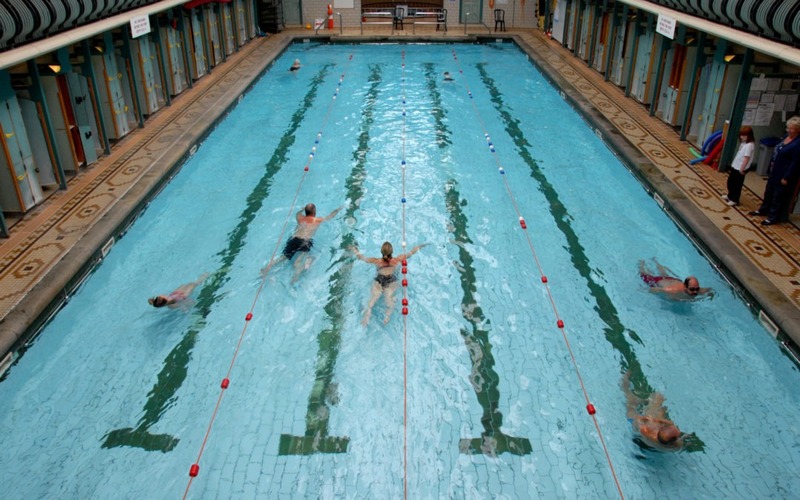 Mr Battle said there was still some spaces available on the board for people passionate about Bramley Baths. To apply, simply write a brief letter of interest and drop it into reception, marked for the attention of John Battle. “A 16% sales growth shows what an incredible success story this social enterprise is.